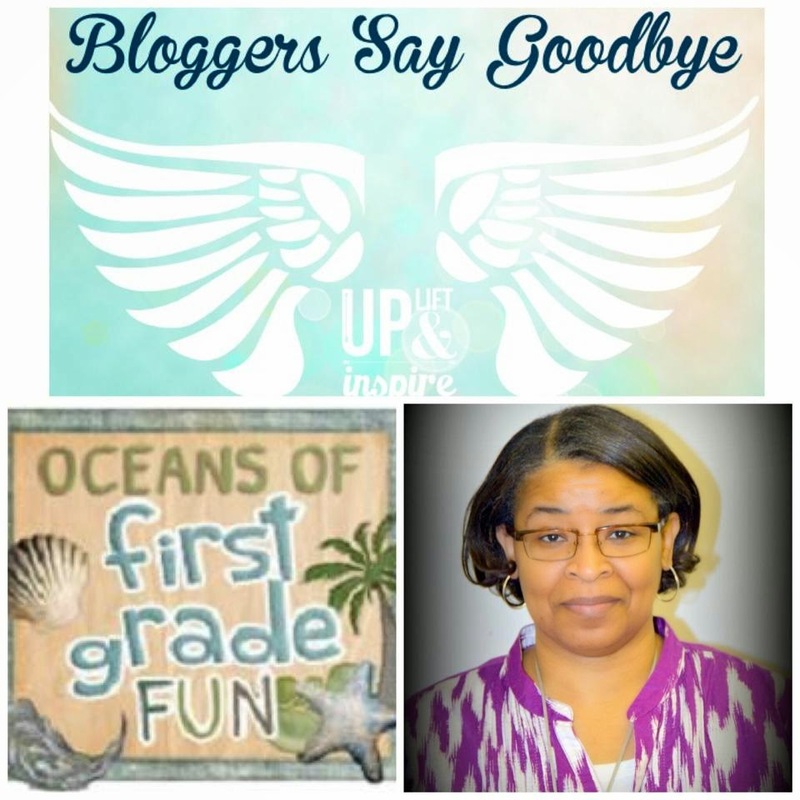 The Blog Hoppin' family would like to pass on our dearest condolences to the family and friends of our own Yolanda Arnold (Oceans of Fun in First Grade). Our thoughts and prayers are with you during this difficult time. Comment with your favorite memories of Yolanda. Whether you knew her in person or not, we'd love to know how her teaching influenced your classroom, your practice, and your students. Please join us in saying goodbye. I knew her as a wonderful blogger and dedicated teacher. She was an inspiration on her blog and made great products. She will be missed. Her blog was the first teacher blog I found. She was a wealth of knowledge! She will be missed. I am so sorry to hear about passing of Mrs. Arnold. I did not know her personally but I was a follower of her blog, tpt store and fb page. If it was not for Mrs. Arnold's blog I would never have known how to print to make a poster. I loved her work and her dedication. To her family: My heart goes out to you at this difficult time.Please know that my deepest prayers are with you. Her blog always kept me motivated. She was an amazing teacher! Thank you for sharing your talent and passion for teaching with us. Those of us who followed your blog became better teachers because of your inspiration. As a result, you have touched countless generations of students. Thank you! I loved her blog! Her blog was one of the first one that I started reading and following. She always had great ideas and great products. She was an inspiration to me. She made me want to be a better teacher. I am really sad to hear of her passing. My prayers are with her family at this difficult time. RIP sweet lady! I echo a lot of the comments already posted. Yolanda's blog was one of the first I started following. She shared so much with us. Our prayers are with you at this difficult time. My heart is sad. I didn't know Ms. Arnold personally, but her blog was one of the first blogs I found and I absolutely LOVED her posts as well as all her wonderful creations that she shared with us. My thoughts and prayers are with her family. Although, we never met, Yolanda was a kind and generous person. That resonated in her blog. She had a passion for her teaching, loved teaching math and was devoted to her family, the teaching blogging community lost a wonderful woman. I feel lucky to have had the opportunity to have learned from her. Like many of you, she was one of the first blogs I stumbled upon. I was fortunate to be able to work with her in collaboration a few years ago on a book study, then again here on this blog. I loved her sense of humor and her passion for teaching. I am without words. I was lucky to have known her. Our world has lost a wonderful lady. Oceans of First Grade Fun was the first blog I found. She led me to so many others, but hers was always special. Her insight into how to teach math was so beneficial. She was beyond generous. I emailed questions and comments to her several times, and she always responded with the sweetest words and often copies of things she'd created. She was an inspiration to me, and tonight I am feeling as though I have lost a dear friend even though I did not know her personally. My heart goes out to her family and friends, and especially to her precious students. Oceans of First Grade Fun was also the first blog I found. Before there was Bloglovin I had her blog on my favorites and it was the first blog I went to each day and was a portal to other blogs. I am saddened by her passing and will keep her family and school family in my prayers. Her blog was always a favorite of mine. My heart goes out to her family and friends. I never knew Yolanda but like many others, she has touched many students with her creativity and teaching! May she be remembered for her service and love for her students! She showed herself to be a creative and generous person. Her love of teaching will continue through all those she inspired through her blog. My thoughts go out to all those who know and love her. It was all because of her!!!! I stumbled upon her blog one day while I was home on maternity with my second. I just fell in love with her blog, her ideas, her cuteness! Her blog has been a constant source of information since! Prayers are being sent to your family! Like so many others, Mrs. Arnold's blog was the first one I followed. Hugs and prayers for her family and her community. She touched many lives and will be missed. RIP. I am so sad to hear of Yolanda's passing. I "met" Yolanda via this post on her fantastic Animal Teeth lesson, "You have not because you ask not": http://oceansoffirstgradefun.blogspot.com/2013/03/you-have-not-because-you-ask-not.html. She created a wonderful idea and was so sweet to me when I offered to add to it. What a beautiful person she was! She was one of my absolute favorite bloggers. Even though I never met her in person, I could just sense what a wonderful person she was. God bless Yolanda & her family. When I first started teaching four year ago, Oceans of First Grade fun was actually the blog that introduced me to blogs. Yolanda's blog gave me so many ideas and such inspiration to be the best first grade teacher I could possible be. My heart goes out to her loved ones, and may you know how much she has contributed to the lives of many teachers and children! Like so many, her blog was the one that I followed first and that she have good ideas for the classroom. She will be missed greatly and prayers go out to her family. I am so saddened to hear of Yolanda's passing. I cannot believe the news. My condolences go to her friends and her family. I am certain that her students will be at a loss to understand and accept the loss of their amazing teacher. My prayers and thoughts are with them. I am so saddened by this news. Yolanda is the one who got me into blogging. Hers was the first blog I read. She was such a talented teacher. She will be missed. My prayers and thoughts go out to her family, friends, and former students. The world has lost a wonderful educator. Like any others, Yolanda's blog was one of the first ones I started reading. I loved it the moment I found it! She had so many creative math ideas that I enjoyed using with my first graders. I was so sad when I saw this announcement. I am not a blogger. I just happened to be surfing the net a few years ago, when, BOOM!, these sites started popping up. Who knew that teachers were all over these 'nets sharing ideas. "Oceans..." was one blog I would read everyday. This is a shock, but I thank Yolanda and all teachers who share their time and effort. Rest in Peace.